Our brains may not work the way we want them to first thing in the morning, but at least something about our brains is at its peak while we're still in bed. Gravity makes all of us shorter at the end of the day than we were at the start of the day. Research has now found something similar happens to the size of our brains. Scientists from McGill University and the Lerner Research Institute at the Cleveland Clinic published their findings recently in the journal NeuroImage. All of our brains are a little smaller right before we turn in than they were when we woke up. It is still unclear if the reason is gravity or lack of proper hydration. The researchers pored over the MRI data of more than 1,000 subjects and then ran the data through an algorithm designed to compare a subject’s brain volume to the volume of the inside of their scalp. This gave researchers what they referred to as the subject’s brain parenchymal fraction or BPF — a fancy term for brain size relative to skull size. Across the board, all subjects’ BPFs were bigger in the morning than they were in the evening – sometimes by as much as three percent – though the average was way less, smaller than one percent. The initial intent of the study was to find out how much of a person’s brain is lost as a result of neurodegenerative disorders like Alzheimer’s or Multiple Sclerosis, but the real finding of the study is that we all suffer from this version of daily shrinkage. A brain’s volume has little to do with its ability to function or its max potential, so no, this does not mean we’re smartest when we first wake up. But the study’s findings will be instrumental in how future research is conducted. Prior to this, time of day had never been considered a factor when imaging a subject’s brain, but fluctuations in volume can definitely cloud results over time. Now, we can account for these variances. Thankfully the variation in most of us is not so pronounced as this. 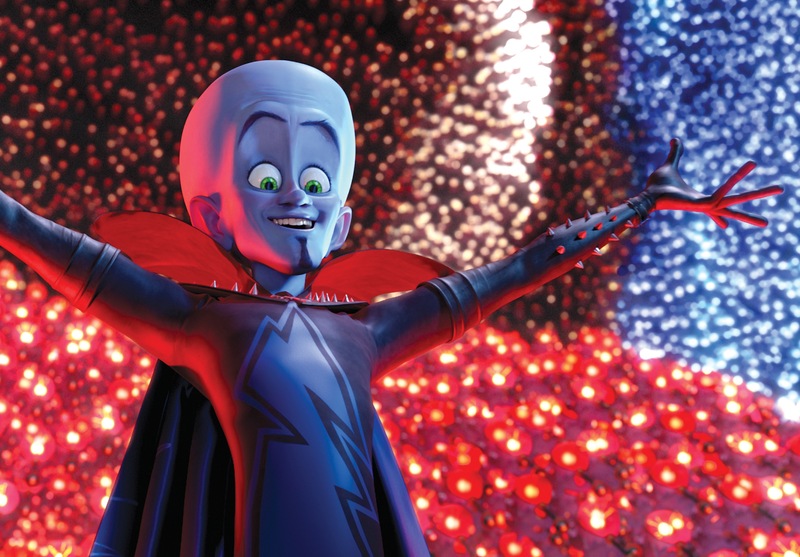 Media via Dreamworks Animation, "Megamind"